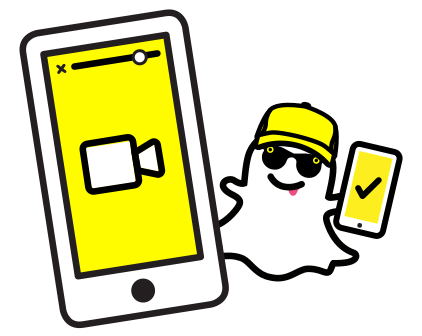 Snapchat announced last month it was in the process of testing non-skippable advertisements. Now, the company has officially launched its first set of ads as part of that initiative. As reported by AdAge, Snapchat today rolled out its first collection of “forced-view” advertisements. These are 6-second video ads that cannot be skipped by the user. The first ads promote things such as movies, Snapple, and Samsung’s Galaxy S9. In the past, Snapchat has relied entirely on skippable advertisements, a business model that has since proven to be unsuccessful. The company first rolled out video advertisements in 2014, and back then it was adamantly opposed to forcing uncontrollable ads upon users. Snapchat hopes that its force-view advertisements will make it a more enticing platform for brands. One issue, however, is that the ads don’t link to longer videos or a website – they’re simply 6-second videos that play and then immediately disappear. This could make it hard for brands to track the effectiveness of their advertisements on Snapchat. It’s important to note that the new non-skippable advertisements only appear in Snapchat’s collection of “Shows,” not in user-generated Stories. Snapchat “Shows” are the episodic clips that the company produces in partnership with companies like NBC, Walt Disney, and Viacom. Snapchat has had a rocky few months as of late. A controversial redesign paired with ever-increasing competition from Instagram has put Snapchat in a pinch – with it needing to monetize and improve user growth to please its investors. At this point, it’s unclear if Snapchat eventually plans to roll its non-skippable advertisements to other areas of the application.